This is a tricky one, you may have a teacher who mocks you or makes fun of you or teases you. If this occurs, overlook it, whilst you are studying with him. Do not let yourself dislike your teacher, concentrate on your subject and do not waver. If it is a subject that doesn't make a difference to your daily needs, in terms of knowledge, you may think about finding another teacher. Or you could simply finish the text with that scholar and then find another teacher. To find another teacher may be more difficult than it may seem. The best advice is to study with him and ignore his manners, unless it reaches a limit that it becomes common knowledge. So that he may be condemned by the average person. Study hard and keep your work up, do not allow yourself to be distracted by anyone. Knowledge is too precious to be distracted from by something small. It is also important to note that the teacher may not think he is mocking you when he does. He may think it is funny and that you too are taking it as a joke as well. Only consider leaving the teacher if you know he commits major wrong actions publicly and he doesn't repent openly. Also please note, you may have a teacher who is gossiped about, so check the stories you hear and don't take the persons word for it. You may have students that are jealous of you and don't want you to study with that scholar, so beware of that as well. I am loathed to comment on politics or even discuss it for longer than a few minutes, but the current circumstances have forced my tongue and now my “cyber” pen. Recent events in Palestine are not something new; unfortunately, it is something old, very old. That area of the world has soil full of the blood of martyrs from ages and epochs gone by. Today, new blood is being split and this war, like all others, is over land. The right and possession of land has caused more wars than people care to remember. I do not like to forget the things that I have read; Some events in history scar your soul. One such event is the sacking of Jerusalem during the first crusade in 1099. Every living thing was killed, when the Christian crusaders entered and began a massacre of unforgettable horror. They picked the right time to attack as the Muslims did not suspect that such a force would come to their shores and cause such havoc. What was the response of the Muslims? Above all else they kept faith and did not waver. They pressed onward and kept doing what they had done before they kept faith, honoured agreements etc. During the two hundred year period that the Crusaders occupied the lands of the Muslims, they broke treaty after treaty (Richard the first of England also known as lionheart promised not to kill non-combatants when he overcame the city of Acre but then proceeded to massacre its entire inhabitants. Esposito Islam: The Straight Path. Oxford University Press: New York, 2005. pg. 59) Even despite the horror of the events of this terrible massacre, Muslims did not retaliate in the same manner. They did not say that they did this to us and we should do the same to them. They did not lose hope which is what many of us do now. This is no more vividly portrayed by the treatment of Salahudeen gave to the Christians after he defeated the Crusader forces, he let them remain or leave unharmed. The question that I want to pose is, what would we do now? If that were to happen to us? We face these events and despite just watching the news, we cannot take it. It is too much. We keep asking questions, why doesn’t someone do something, where is the UN and most shocking of all for me, why doesn’t America do something. Why should they! Is this what the Muslim world has come to asking people instead of asking the only one that can help! Have we abandoned our falling brothers and sisters? No, ask Allah! Make supplication and keep doing it. As Muslims we already know that we have won just by being Muslim, we are already winners. So these tribulations are not something new and the situation now is not as bad as it was in the past. Just go back one hundred years and you will find just about every Muslim country under some type of foreign occupation. From Morocco, Tunisia, Libya, Egypt, Syria, Iraq, Iran, Parts of Africa, Parts of Arabia, India, Uzbekistan and the provinces of the Ottomans. As bad as things were then, we did not lower our high morals by using the underhand actions of our occupiers. If anything, we began to mimic them, the most shocking example is in the late Ottoman rule when traditional clothing is thrown out and new western style clothing became the norm. Even now you can visit any Muslim country and you see can Western modes of dress. The point that I want to make is that the state of affairs, at the moment, is bad but it is not as bad as it could be or has been. If you read about the final years of the Ottoman rule and the nationalists uprising; it will make you weep. I have read books about the events that I will not speak about because they lay too heavy on my heart. As Muslims we need to know that if we are not tested in the world, then where else will we be tested? It is part of being in the world! We should not be surprised when we read media bias about us. Really, it does not surprise me at all. The Ottoman Empire was known in the West as the “Sick man of Europe” and most shockingly “the terror of the east.” If someone owns the mass media sources and has a vested interest in degrading a set of people, for their political ends; then do not be shocked or surprised, believers in God have always had bad press from those that oppose them. Some things are not meant to change. To stay in touch with news events, I choose other methods and other sources than the condescending manner television news is delivered. We do blame our leaders and their collective failure to address the needs of other Muslims. This is down to many reasons, some of the governments still have their strings pulled by foreign forces and like any good puppet they sing to tune of their masters. It is really easy to blame them but it is even more difficult to try to enter the political arena and try to change things. Anyone who is has the ability to put some pressure on them, please do in the most gentle manner possible. Otherwise this will cause more problems than it will solve. The recent event of the teacher who called a teddy bear by the name of our Prophet (peace and blessings of Allah be upon him) was a strange event but even stranger was that some Muslims who are involved in political circles made every effort, on this side of the Europe, to try to free the teacher from prison. So the question now is, if they can mobilise themselves for a non Muslim teacher, what are they doing for a whole country of oppressed Muslims? They may be doing something that I do not know about, so inform me please. A few years ago, when the war mongers were baying for the blood of Saddam, I went on a march with a few brothers. After a day of huffing, grunting and screaming, we got back onto the coach and then I realised something. I had wasted the entire day! Nothing had been achieved and nothing was gained. Maybe, someone could argue that that it slowed the “War Machine” down (contradiction). Protesting is like asking the people who have hurt you, killed you and beat you, not to hurt you so hard. Is there any point? So please do not ask me to protest, the global protests for Iraq was doomed to failure. This to me also proves that the democratic system does not work, when people outside the political spectrum can influence all our lives. The cold hard fact is that there were no bombs killing innocent people, until after the invasion. After the fall of the Ottoman Khaliphate, European powers divided its lands like a hungry man takes a cake, taking the juicy parts for himself. The juiciest part was Palestine and Transjordan taken without conquest, taken over a table. The Treaty of Sevres splintered the once mighty kingdom into many parts. This is, more or less, what we see today in terms of countries. Britain had its famous mandate for Palestine pushed through by the “league of nations” or what we now call the United Nations. So do you now see the irony when we call on the UN to “do” something when it was the fault of that organisation! The mandate lasted from 1920 to 1948 and the aftermath of the British departure from Palestine saw the beginning of “Eretz Yisrael” or as we know it now Israel. It was just prior to the British mandate that Jewish Migration began, not after the Second World War. Land was sold to them by the Ottomans because of their dedts. A look at the United nations website brings forth more irony. Israel has been a member state 11 May 1949 and according to the UNs own charter, "Membership in the United Nations is open to all other peace-loving states which accept the obligations contained in the present Charter and, in the judgment of the Organization, are able and willing to carry out these obligations." (http://www.un.org/members/) The signs of a hypocrite are there for you to know one. The next ironic item, in this post, is that we are protesting trying to make the British put pressure on the Israeli government to stop. Rashid Khalidi stated in his book “Palestine Reborn” that Israel was dependent on foreign funding to keep its economy going and more people were leaving Israel than migrating into it. There are only so many lifelines one can receive after that, well who knows? I dislike nationalism in all its forms; it is nationalism that contributed to the weakening of the Ottoman Empire. It also is one of the most wretched characteristic of a person, leading to racism and other repulsive behaviors. I will not wear any flag of any country and I have stuck by this for many years. I do support the people but I cannot be a party to nationalism, in any way. I remember witnessing a Christian missionary wearing a Palestinian scarf, just so he could try to infiltrate the Muslims. The whole point of this article is that the reason, the cause, for the overcoming of all of what history threw at us, was that Islam was strong in our hearts. Our Islamic way of life was not threatened, we carried on and we drew strength from it. Now, we draw weakness (because that is what is) from all manner of ideologies and slogans without going back and putting Islam into practice. This is where our strength is based and this is where we will be renewed. No other way of adhering to any specific group calling themselves the “saved sect” will help. So until we learn this lesson, we will suffer defeat after defeat. The most important thing that any Muslim can do in this time is boycott their goods, give charity and make much supplication. Know, that what we are going through is nothing to what other Muslims have suffered in the past. It is difficult when most of the ink is against us but the reward for patience is unbound. In the Hanifa and Maliki (not sure about others) it is prohibited to sell anything that will make the forces against Islam stronger. This does not mean a complete trade embargo but for us to sell them certain things and not others. If I have upset anyone with this post please, please forgive me. That was not my intention, I wanted to try to explain some issues and settle the hearts of the Muslims somewhat. Also for us all to reflect on our position in the world and what our next move should be. It is prohibited to lose hope, in Islam, please, please do not delve into politics, as it is man at his worst and do not lose hope. In the aftermath of the Battle of Uhud, the pagans cried out about how they had defeated the Muslims. The Muslim response was, “Our dead are in Paradise and your dead are in the fire.” Muslims will be the largest of all the nations of believers, on the day of judgement, so shouldn’t we have the greatest number of martyrs? A man came to the Scholar of our Scholars, Sheikh Mawlaa Al-'Arabi, may Allah be pleased with him, and began to praise him to his face. "Do not mislead me with your words. and when I am the least of beings. I am the least of beings." 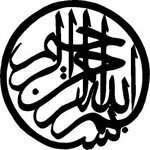 Recently, Sira or the life story of the Prophet Muhammad (peace and blessings of Allah be upon him) has become a subject of interest for me; all praise belongs to Allah the Exalted. So this is a quick review of the few books that I have read on this subject. This is an excellent book; it is aimed at the sceptical Western mind. The author goes into such chapters: as proofs of prophet, importance of Prophethood and various points in Sira. I found the book made several interesting points and it something that should be placed with Martin Lings Sira text; Yes, I recommend that highly! You may find some difficulty attaining a copy, it took my three months to get mine but it was worth the effort. The book is also published under the title "The Infinite light" in two parts. Rather than a book on Sira, this is book about morals and characteristics. It gives an explanation of a certain characteristics or moral. Even though it is not a book on Sira, it is worth reading, for the depth of the understanding of the Imam. This is a book that I had seen frequently and never had the chance to read it. When I finally read it I wish I had read it a lot sooner. This is a wonderful book which describes this different ways of the different nations and races of the Muslims venerate the Prophet Muhammad (peace and blessings of Allah be upon him). The German Muslim is fluent in several languages and this adds so much to the vast material that she presents in her book. It's a real joy to read and I would recommend this to be read with the all of the above books. This is an interesting text by the recently deceased Egyptian scholar. At first the scholar praises a scholar who I would not; this did cause me a problem, as it went on for several pages. Although, patience paid off because he makes some important points but at the same time it is in a "modernist" tone. So people opposed to this should be aware of this. The book is only for seasoned readers of Sira, as he often refutes a position and then goes onto to explain the event that he is refuting; so this can be confusing! This is a text written by a retired Pakistani brigadier who is not a scholar but is a military expert. So he does make some points that are not correct, so be aware of that. He makes some amazing points about warfare and what other leaders did in the battlefield. One point that goes almost unnoticed by some writers about the life story of the Prophet Muhammad (peace and blessings of Allah be upon him) that after the migration of the Muslims to Medina; the pagan Quresh declared war against the Muslims. They wrote in a letter to him. Muslims attacked the trade caravans of Abu Sufyan who had sold the empty houses of the Muslims in Mecca. No one knew when the pagans were going to attack them, so they had to be ready. This is far removed from the fanatical fantasies of the Orientalists who must read only parts of the story and not the whole picture. This needs to be explained in the correct manner which I do not feel that it is. There are two parts to this book and the first part is better than the second. It was a little disappointing to be honest because the first book made some interesting points. The second part had too many errors for it to be as good as the first. This is book is for the seasoned reader of Sira and not for the beginner but it is a valuable book for the collection. This was a text taught to us by Sheikh Atabek Shukurov. The event occured during the Migration/Hijra from Mecca to Medina. She replied, “I swear by your mother and father, if I saw milk from it then I would milk it.” The Prophet (peace and blessings of Allah be upon him) called the sheep and moved his hand over its udder; he pronounced the name of Allah and praised him. Then he called Umm Ma’bud when the sheep steadied its feet and its udder filled. He asked for a large container and milked it until it was filled. The lady drank until full, his companions (meaning satisfied) drank until full, then the others drank. Then it was milked for a second time until the container was full and they left her and continued on their journey. She said, “I saw a man externally bright; fair of face (beautiful face). His form was not blemished (The slimness of his body); he was not afflicted by extreme leanness (he was not thin), he was not plump but beautifully proportioned (He radiated beauty); his eyes were deep set (they were black); his eyelids were bushy (he had long eyelashes); his voice was melody (throaty and beautiful); his neck was prominent (long); his beard was dense (ample hair); curved furrows (long arched eyebrows). If silent, he possessed dignity, when he spoke, its elevation and loftiness was beautiful. He is the most beautiful person, beautiful from afar and stunning when close. Delightful speech with pauses, without jest or nonsense (speech between a little and a lot). His speech is like the beads of a necklace cut (he would not speak excessively or moderately). His height does not harm and the eye is not taken over by him, a branch between two branches, he is more radiant than them and he is most respected. His colleagues would surround him, if he said something they would listen attentively, if he ordered then they would hasten to perform it, his entourage (He had some companions with him who would obey him), without frowning or refusing (without frowning on the face and speech free from dislike)."